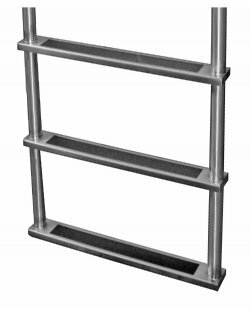 Brey-Krause 5 Step Removable Stainless Steel Dock Ladder, 15.75" Deep Handles, 3" Wide (deep) Treads, 750 lb. 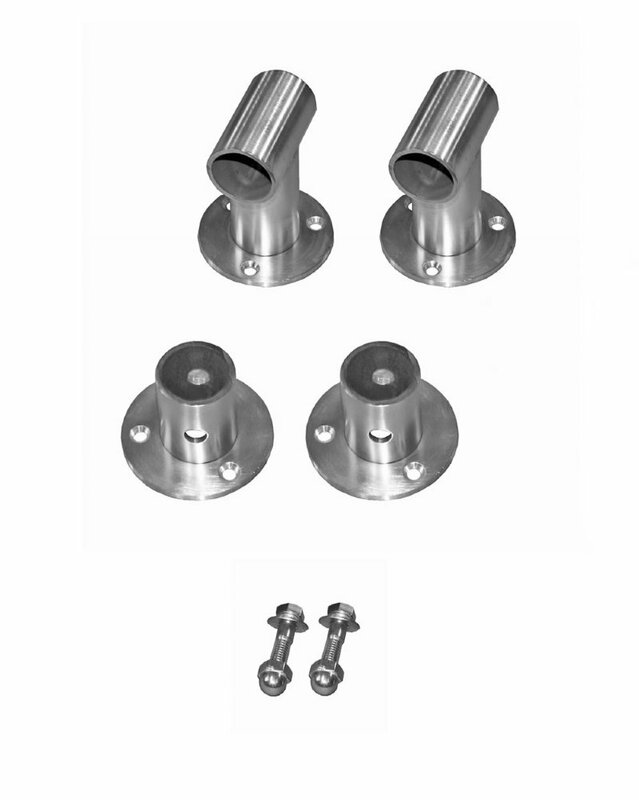 Weight Capacity, .304 Stainless Steel. FREE SHIPPING! The 5 Step Brey-Krause Removable Stainless Steel Dock Ladder with 15.75" deep handles is fabricated from 16 gauge satin-finish 304 series stainless steel tubing. Featuring comfortable 3" wide (deep) steps with anti-slip tape. 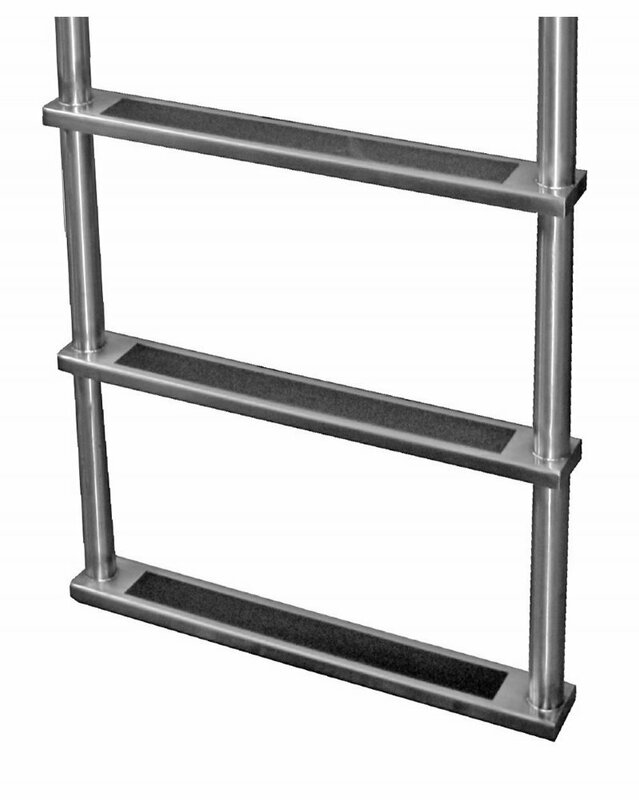 This ladder is durable and will be aesthetically appealing for many years to come. 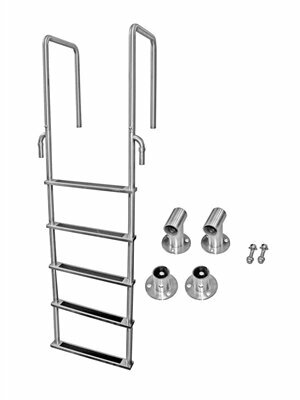 These ladders are of superior craftsmanship and materials and are made right here in the USA!